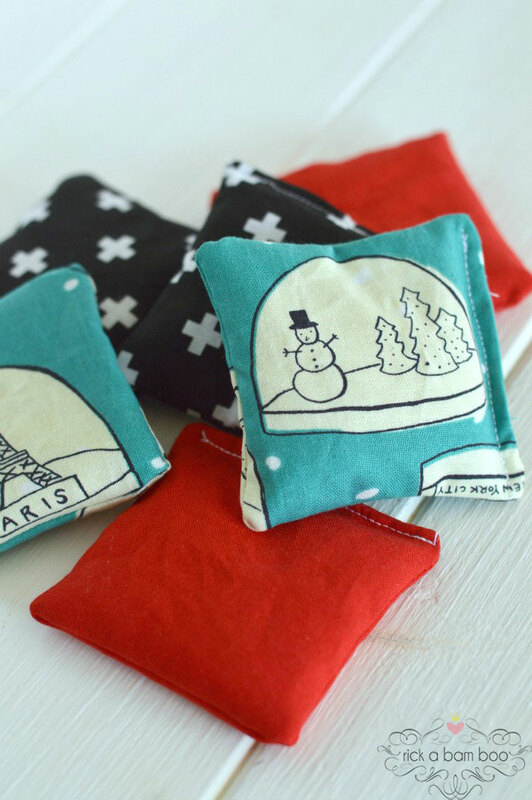 Simple DIY Hand Warmers are the perfect gift for everyone on your list this holiday season. 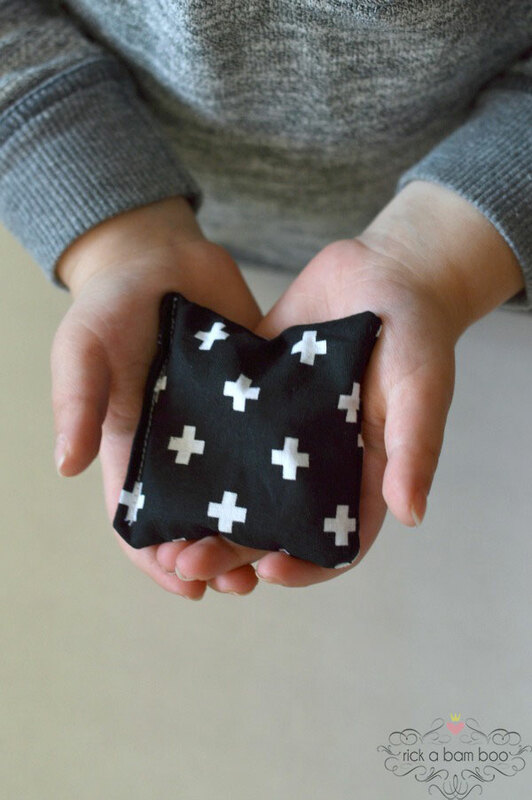 They even make great candy-free stocking stuffers! Hey, everyone! Amber Simmons here from rick a bam boo. It’s gotten really cold here in Utah. We’re talking below freezing. So you know, it’s really cold. 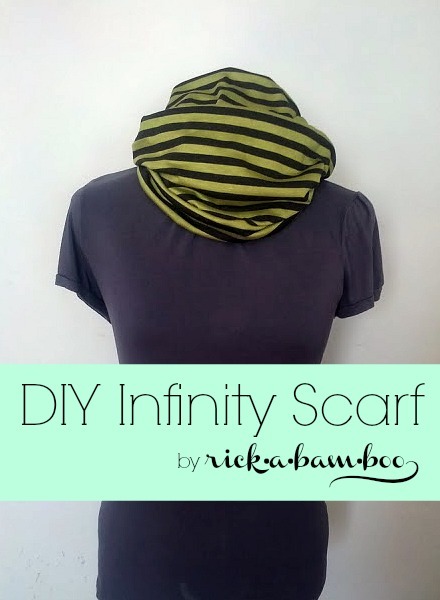 This month I am going to share with you a simple DIY project to help keep you warm when you have to go out. 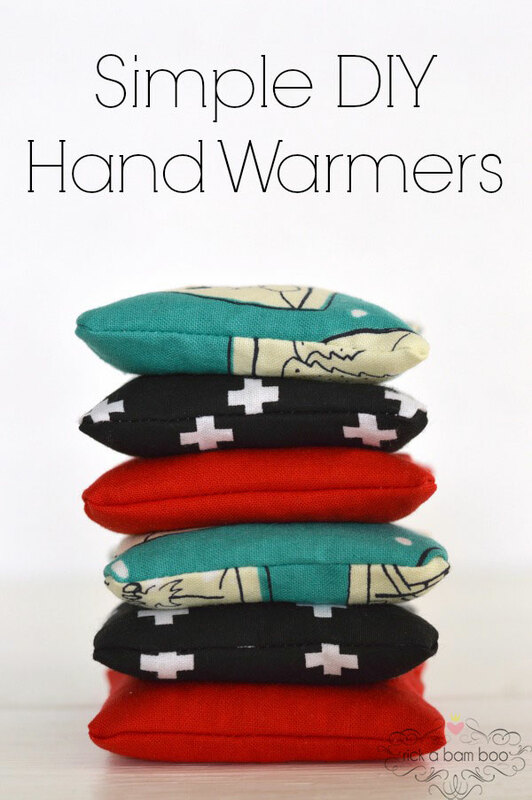 It’s all about hand warmers. These little babies are great for the whole family. 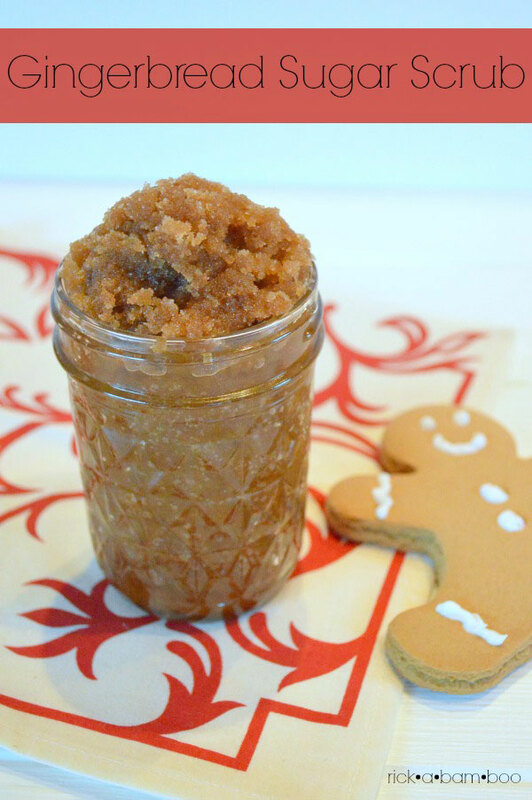 And are so easy to make that you won’t mind making up a whole batch for everyone on your list! 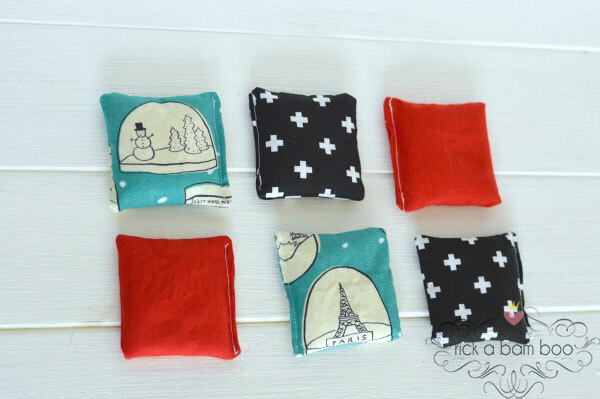 For each set of hand warmers, you need fabric cut into four 3.5 inch squares and six tablespoons of rice. Place two pieces of fabric right sides together. Using a 1/4 inch seam allowance, sew around all four sides leaving a 2-inch hole on one side. Trim down the corners to eliminate some of the bulk. Use the hole to turn the hand warmer right side out. Using a funnel fill the hand warmer with 3 tablespoons of rice. I didn’t have a funnel small enough on hand so I just rolled up a piece of paper to create one. Top stitch the hole closed. Be sure to start and end with a couple back stitches for extra stability. Top stitching tip: I like to move my needle to the left so that I can get really close to the edge. It can be tricky to get close to the edge will all the rice in the pouch if your needle is in the middle. Look how perfectly they fit in little hands! Red is Kona Cotton in Poppy. Black with white pluses was a print exclusively from Joann’s. And the snow globes are from the Cotton + Steel holiday 2015 Tinsel line. These are so easy I whipped out three sets in less than 15 minutes. Being such a quick project also makes them great for last minute gifts. 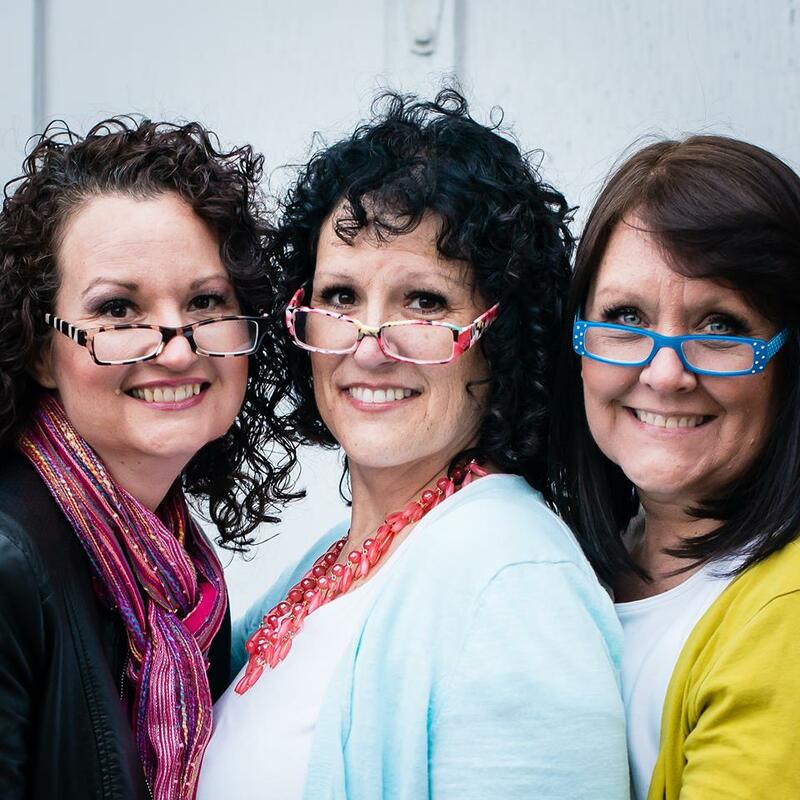 They would also be good stocking stuffers, especially if you are looking for something candy free. To use them you simply pop them in the microwave for 20-30 seconds. Watch out. They will be hot. Then you put them in your coat pockets for your hands to be nice and toasty while you are outside. I plan to use these whenever I have to scrape the car. How nice would that be to get in the car and be able to instantly warm your freezing fingers? 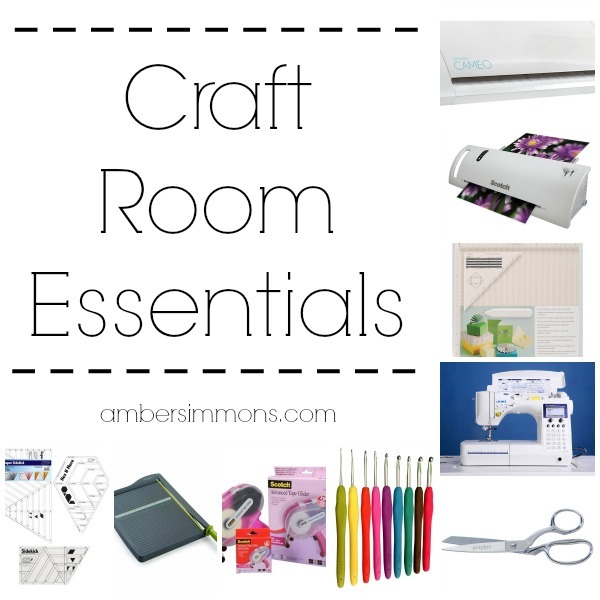 Also, be sure to follow me via your favorite social media to see new gift ideas as I share them.